Sometimes the ugly truth of history is that it's very, very messy. 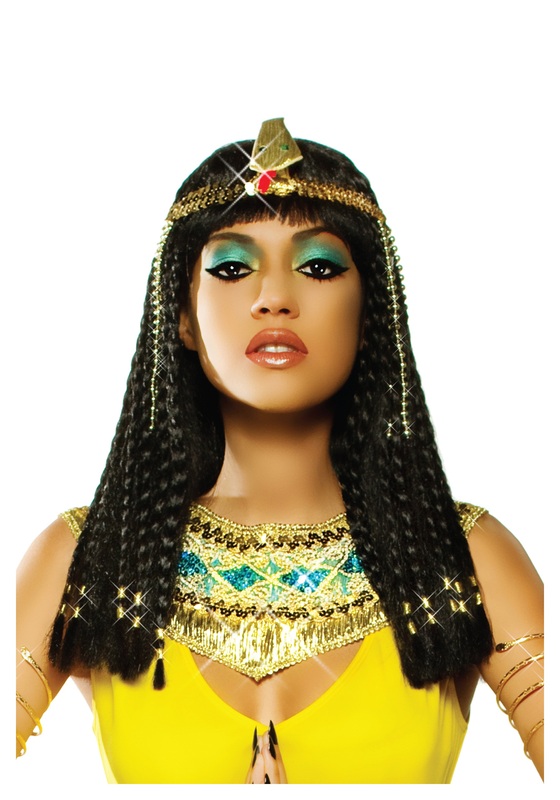 Like technically, Cleopatra was a pharaoh who co-ruled with a bunch of her brothers and husbands and was pretty much Greek in heritage. But resplendent in this wig, kind of like the one Cleopatra probably had to wear to pass for a true Egyptian, you'll definitely look regal enough to be queen of the Nile! Whew! Those later years in Ancient Egypt were pretty complicated, and this famous lady's life was no exception. She made a lot of uneasy bedfellows and outright enemies during her time in power. But you know what they say: well-behaved women seldom Ptolemaic history! Live life with the same wit and charm that inspired countless artists and writers to immortalize her in their work, and people are going to be talking about you and your great-looking wig for millenia to come! Good quality material for costume wig.